Mumbai sources reported that Bollywood fame actress Sonali Bendre who acted in many popular films has been diagnosed with cancer recently. Presently she is being active on social media trying to garner strength that fans are sending through their wishes to fight the disease. Accordingly the actress said she is overwhelmed with the love and blessings she has received after revealing she is been diagnosed with cancer and highlighted how the many inspiring stories of cancer survivors has helped her remain strong and maintain positivity during such a difficult time. Sonali Bendre said "Your stories have given me an extra dosage of strength and courage, and more importantly, the knowledge that she is not alone," reads a part of her post. 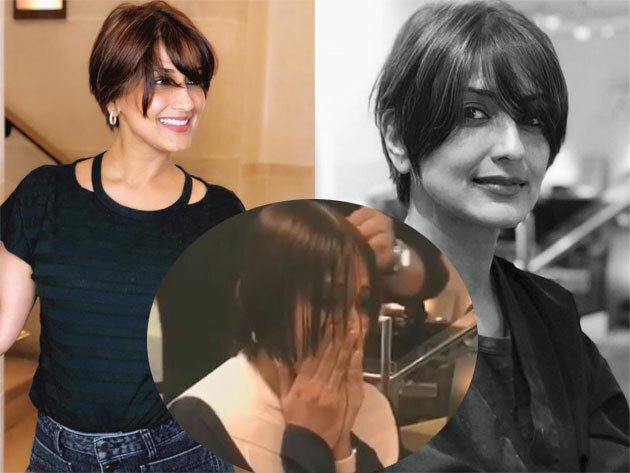 Moreover Sonali Bendre also revealed that she now sports shorter hair, photos of which accompany her heart-felt post. Furthermore Sonali Bendre also revealed that she wants to share details of her journey with her fans to make a point to be hopeful. Read an excerpt from her post that “Sharing her journey is also part of this process she can only hope it reminds you that all is not lost and that someone, somewhere understands what you're going through".